Everyone has that one shallow celebrity crush. Despite their movies or songs being terrible, you love to obsess over them because they're just so physically perfect. Many car dorks enthusiasts have similar feelings for certain cars. For many, these cars are pre-war racers, one off specials or Italian exotica. Mine is the Toyota Tercel. I can't help myself. 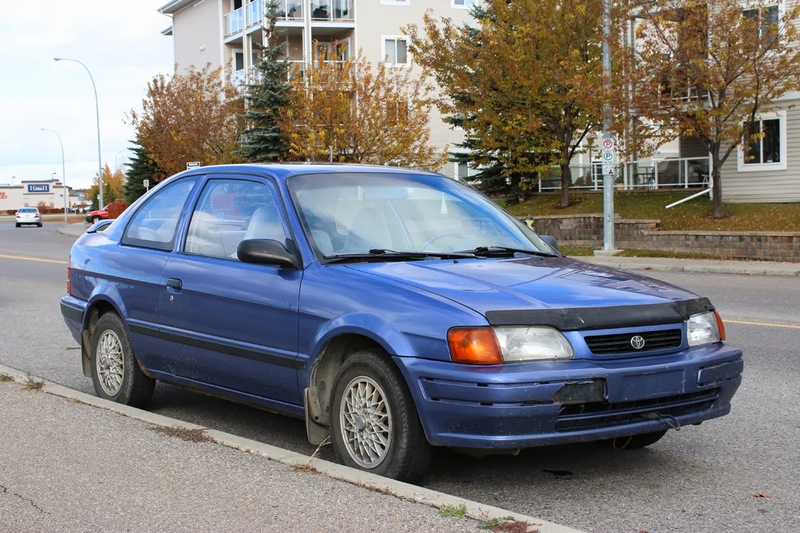 The 1996 Toyota Tercel Sport we've found today is almost my ideal Tercel. This is a fifth generation model with the hard to find, Sport package. Does the Sport package include a more powerful engine or stiffer suspension? Not really. But it does get you body colored bumpers, (Ooooooh!) stylish faux BBS rims and a tidy spoiler to reside on top of the trunk. 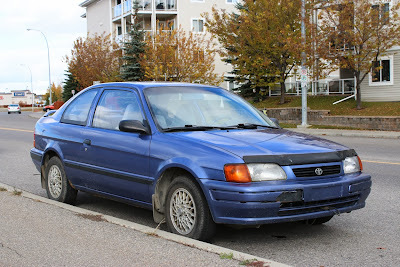 The Tercel's mechanicals are somewhat less exotic than the Ferrari we found yesterday. The 1.5 liter DOHC four cylinder produces 93 horsepower and helps the Tercel achieve 35 MPG on the highway. The suspension is a strut type up front with a live beam axle in the rear suspended by coil springs. Despite being labeled a Sport, Tercels still used drum brakes in the rear. So my if infatuation has nothing to do with the car's mundane mechanicals and meagre performance, where does it stem? Well I love the way it looks. 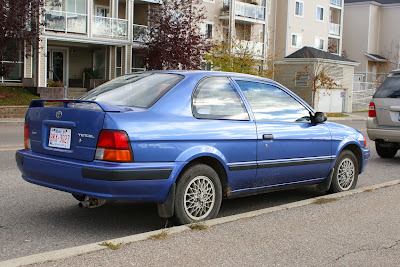 I've provided a profile comparison between the Tercel Sport and an E36 BMW M3. 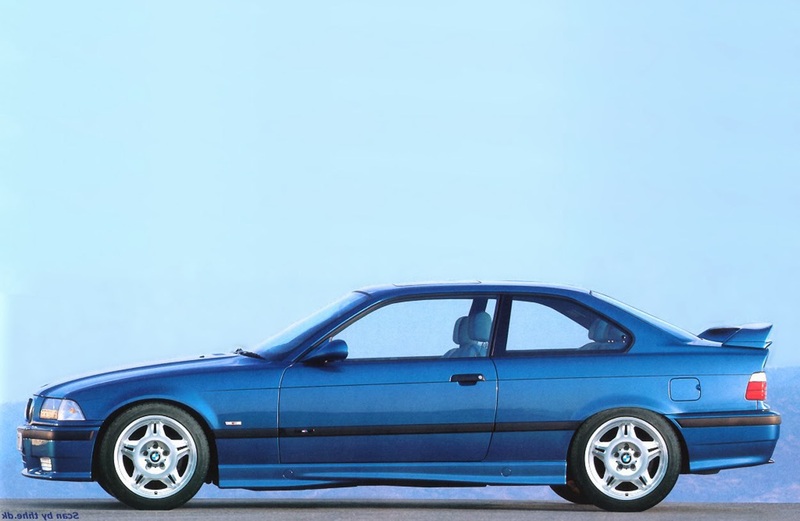 In my head the two-door Tercel looks like an adorable 3/4 scale BMW 3 series and there are more than a few similarities. 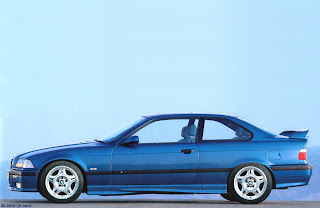 Note the black plastic accent strip running the length of the car bisecting the wheel arches. Note too that both C pillars thicken dramatically at their base. Both cars have black plastic door handles that are placed directly on the character line just below the top of the doors and that character line is very similar between the two cars. 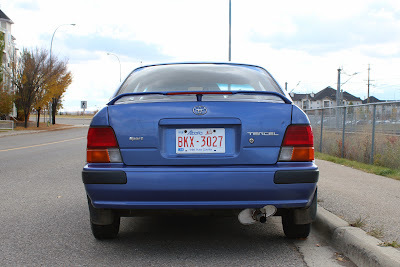 The cars also share a swept back B pillar. Dorky as it may be, I've always wanted to find a creampuff Toyota Tercel Sport in red and make it my fair weather Sunday driver. 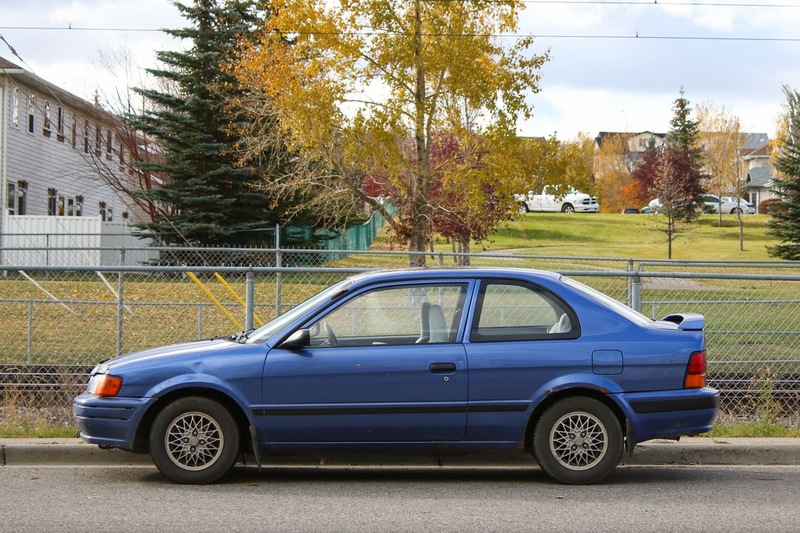 Not to race; not to impress people but the Tercel just seems like such a refreshingly honest compact and it has aesthetics that thrill me. I've been hunting for years trying to find one and it's harder than you might think. 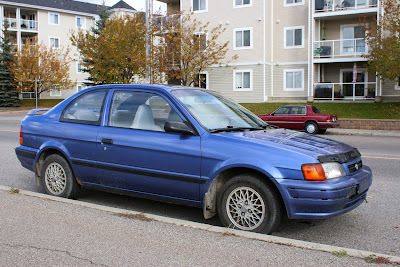 I want a Tercel solely for the way it looks.